One of the biggest issues facing higher education in the US today is return on investment. Is the price of a higher education leading to a fulfilling professional career that will enable a student to earn and comfortably repay his or her school expenses? The cost of higher education is rising, yet many students are leaving college without the necessary skills to land a job or thrive in their careers. In a recent Adecco survey of college students and recent graduates, 74 percent of respondents felt their schools failed to fully prepare them for the professional world. Employer surveys show similar findings, particularly in tech and tech-enabled sectors. The challenges are particularly acute for the growing population of parent students as well as those who are first-generation college students. This was the story of Dora Korpar. Dora graduated with a BA in biology from Macalester College in St. Paul, but worked retail at Trader Joe’s after graduation. Inspired by a friend who had recently landed a job at Apple, Dora started exploring software engineering and found San Francisco-based Holberton School, which promoted a two-year software engineer training program with no upfront cost until she secured employment. She applied, was admitted, and moved to San Francisco. 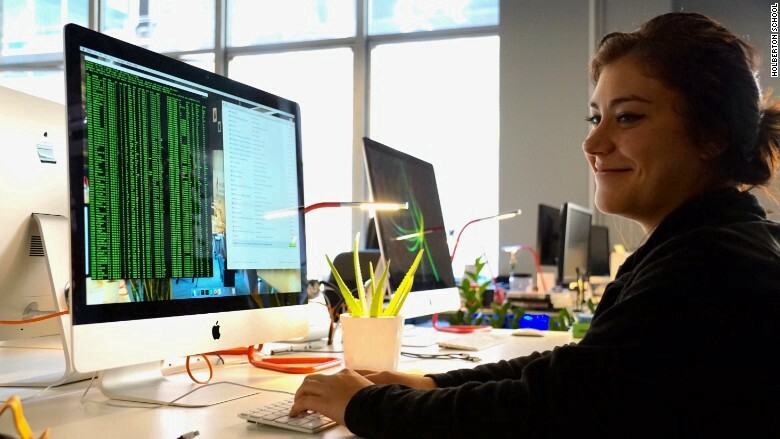 After nine months of skills training at Holberton, she received a full-time offer from Scality as a software engineer and is currently completing the second year of the Holberton program part-time. She has now meaningfully increased her income, career prospects and job fulfillment. “It was an eye-opening experience,” said Dora, who didn’t have prior coding knowledge. Holberton School is named after Betty Holberton, one of the most famous women software engineers and the original programmer of the first digital electronic computer. Holberton offers training to students to become highly skilled software and operations engineers through project-based and peer learning. Holberton was founded by Julien Barbier and Sylvain Kalache, who previously co-founded while42, the largest French tech engineer network, and worked at Docker and SlideShare/LinkedIn respectively. There are three main components to increasing return on investment in higher education, and Holberton aims to address all three. At Holberton, there is no upfront cost for students. Instead, students sign an Income Share Agreement (ISA) for 17 percent of a student’s income for 3.5 years, once they achieve a minimum salary of US $40,000. This does not mean education at Holberton is free, but rather that it democratizes access with no credit requirement. Repayment is based on future income, which differs from student loan structures that need to be repaid regardless of income and are increasingly driving students to default on loans. In addition, the Holberton admissions software is designed to remove any bias from the process, with no questions asked about gender, race, age, socio-economic background, prior education, or prior experience. As a result, today, 40 percent of enrolled students are women, 55–60 percent are non-white and the student base is highly socioeconomically diverse. Holberton’s pedagogy is based on a peer-learning and project-based approach, meaning that there are no formal teachers and no lectures. Students learn by practicing and collaborating with their peers. “What regular schools call “cheating”, we call collaboration,” describes Sylvain Kalache. Instead of acting as an intermediary between knowledge and students, Holberton acts as a guide to students in their learning. 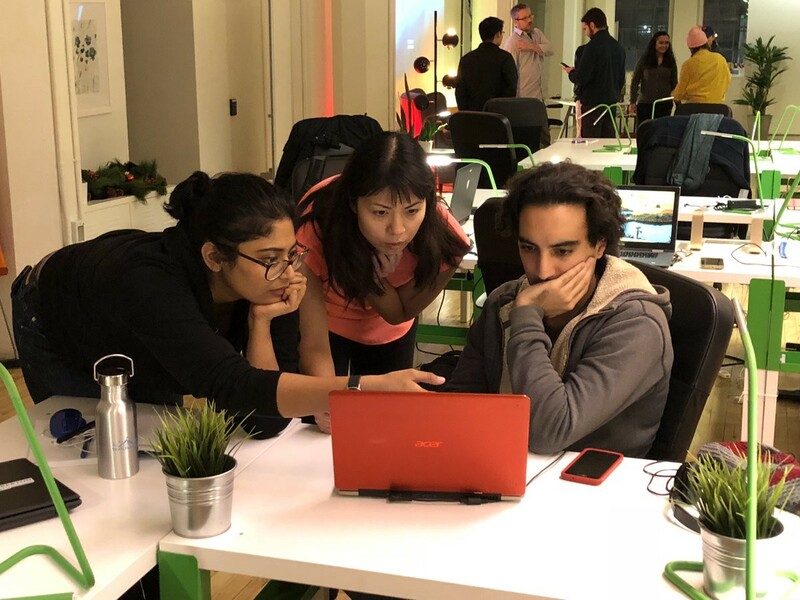 Holberton is committed to creating a comprehensive educational experience, replicating a work environment and setting students up for a career rather than a job. Students are taught to “learn to learn” rather than only focusing on one technical language. Additionally, there is a strong focus on soft-skills with daily “stand-ups” to practice public speaking and teamwork through the projects. The curriculum is also shorter than a traditional four-year college degree — and a lot of students end up receiving a full-time offer after nine months of intense training, like Dora did. Holberton is currently running its sixth and largest cohort in San Francisco. Employers (e.g., Google, Apple, LinkedIn, Docker) are involved in the program as curriculum advisors and hiring partners, and are the source of over 100 professional mentors. Thus far, 92 percent of students have found a job or an internship after year one. Additionally, the average full-time salary of its students has been greater than US $100,000. We are excited that models like Holberton School can lead to lower student debt and higher income potential for students from low- and middle-income socioeconomic backgrounds that are finding traditional programs increasingly inaccessible or unattractive. We hope that our support of Holberton will help increase the return on investment of higher education for more students like Dora to reach their full potential.